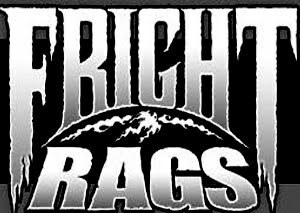 This past August, while enjoying my time at Hudson Horror Show IX, I had a conversation with Fangoria's Michael Gingold about upcoming horror movies to keep an eye out for. 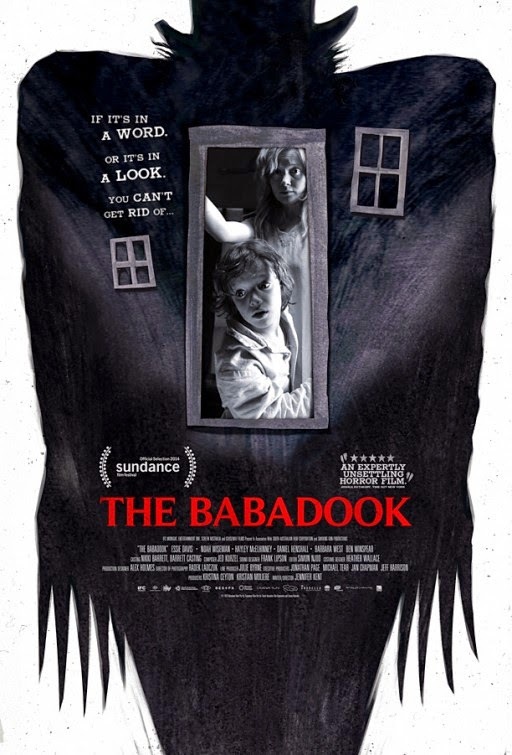 One of the titles he mentioned, the only one I actually remember, was The Babadook. He said it was one of the best in recent memory. The name was unique enough that it stuck. In the weeks after that I kept hearing nothing but praise for the movie. Of course, my interest was piqued and I knew I had to see it. Still, I must admit to being a little bit skeptical. Heck, I even kinda wished I did not like it. You know, not to seem like I was going along with the hype. The Babadook was written and directed by Jennifer Kent. This is her first feature film, following a short film, and a career that has primarily been in front of the camera (including George Miller's Babe: Pig in the City). With her first feature completed, she has shown a keen ability to capture complex characters and portray them in a believable fashion with strong dialogue, while also creating a wonderfully dark atmosphere of dread. Combine that with a good eye for a well shot scene (with help from director of cinematography Radek Ladczuk) and you have the elements that make for a classic. Did she make the most original movie of all time? No, but the execution and believability of it all raise it up a number of notches. It stands on its own and may just be a new classic. Now, it you couldn't guess, I loved the movie. Yes, I was skeptical based on the universal positive buzz I heard (I did not go out seeking much beforehand), but that skepticism was quickly erased as the movie began to play out. It is a slow burn of dread, skin crawling atmosphere, fear, tension, sadness, despair, and the list goes on. The Babadook is genuinely frightening and downright depressing. The movie straddles the line of dark fantasy/horror and psychological drama. It toys with the mind, plays with the emotions, and drags you down the rabbit hole. You have to wonder if there is a way out for anyone involved. Amelia (Essie Davis) is a single mom struggling to raise her son, Samuel (Noah Wiseman), in the wake of her husband's death. It is not easy on either of them. She is frazzled, at her wits end, and no one in her life can understand what she is going through and no one seems to be able to even try to understand. Samuel is his own brand of trouble, believes wholeheartedly in the existence of monsters, to the point of having a routine to check before bed each night, as well as a penchant for coming up with Home Alone-style gadgets to battle the evil forces. Together, they are a pair that is just subsisting on the edge of normal society, in society but not of society. Their lives are forever changed by the appearance of a book called Mr. Babadook, a deliciously macabre children's pop up book that tells of the dark monster trying to get in, who, once in, will never leave. It does not take long for the tale of the Babadook to infest their lives. There appears to be some manner of presence crushing in on them, driving them further away from others, causing strange things to happen around the house, not to mention the hallucinations. The Babadook is a movie that takes its time to unfold, making you think one thing while being something completely different. It is not an overly complex film, yet it pays to pay attention. This is a movie that involves, holds the eye, and leaves you feeling just completely weirded out. Once you put the pieces together, the bigger picture begins to change. The reality of the horror begins to take shape. This is one of those movies where everything works in unison, from the wonderfully shot images, to the claustrophobic atmosphere, the fantastic performances, and, well, everything. It is a movie that just works, it rangles the nerves, holds the eye, and just manages to scare just enough.